Dr Dinah Parums is a British M.D./Ph.D. who now works as a freelance writer, editor, and consultant. 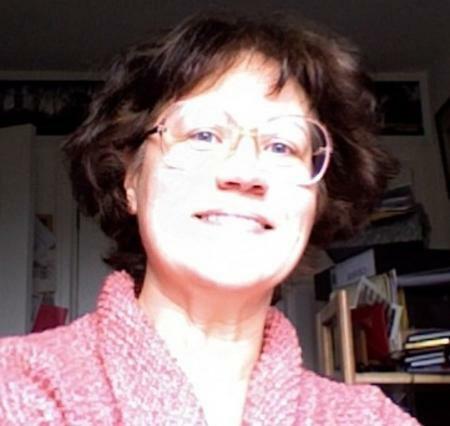 Dinah has many years of experience in medical education writing and publishing for doctors, nurses, biomedical scientists and other healthcare professionals. Dinah received her undergraduate medical degrees from the University of Cambridge (B.A., M.A) and her clinical medical degrees from Oxford University Medical School (B.M., B.Ch.). Her Ph.D. is in experimental pathology from the University of Cambridge. During her postgraduate medical career, she has been awarded research fellowships from the British Heart Foundation, Wolfson College, Oxford and Darwin College, Cambridge. Dinah has also held visiting fellowships in the USA at the Massachusetts General Hospital (MGH) and Stanford University Medical School. Dinah did her postgraduate specialist training in surgical and anatomic pathology at the John Radcliffe Hospital, Oxford where she held the positions of Clinical Lecturer and postgraduate Clinical Tutor at the University of Oxford. She was awarded Membership of the Royal College of Pathologists (MRCPath) in 1991 and was elected to the Fellowship (FRCPath) in 1999. In 1999, she was awarded the Fellowship of the American College of Chest Physicians (FCCP). Dinah has held senior clinical and academic positions at the Royal Postgraduate Medical School, Hammersmith Hospital, University of London and University of Cambridge. She has more than ten years of experience working as a consultant to the pharmaceutical industry and as a principal pharmaceutical physician. Dinah has more than 40 peer-reviewed publications. She has more than 20 years of experience in postgraduate medical teaching and in reviewing manuscripts for biomedical journals. She has worked as a Clinical Editor for the British Medical Journal (BMJ). In August 2016, she was elected to the Editorial Board of Medical Science Monitor. In support of her current role, Dr Dinah Parums is a member of the National Union of Journalists (NUJ), the American Medical Writers Association (AMWA), the European Medical Writers Association (EMWA) and the International Society for Medical Publication Professionals (ISMPP). She is familiar with the current guidelines from the International Committee of Medical Journal Editors (ICMJE), the Committee on Publication Ethics (COPE), the AMA Manual of Style (10th Edition) and the current Good Publication Practice (GPP3) guidelines. Parums, D.V. (Editor). Essential Clinical Pathology. Blackwell Science Ltd. Oxford. 1996. ISBN 0-632-03088-7. This 700-page postgraduate teaching book contains 500 full-colour figures. It represents a complete clinical pathology (laboratory medicine) ‘core’ course textbook for medical students, based on the Editor’s teaching experience running the Oxford University Medical School’s clinical pathology teaching over three years. One-third of this book is written by the Editor, with contributions in Haematology, Biochemistry, Immunology and Microbiology from 14 other authors. Parums, D.V. Pathological Characterisation of Ischaemic Injury. In: Ischaemia Reperfusion Injury Grace, P. & Mathie, R. Blackwell Science, 1998. Parums, D.V. Inflammation and atherosclerosis. In: Pathology of Blood Vessels. Eds. Stehbens, W.E. & Lie, J.T. Chapman and Hall. 1995, pp. 329-353. Parums, D.V. Histochemistry and immunochemistry of vascular diseases. In: Pathology of Blood Vessels. Eds. Stehbens, W.E. & Lie, J.T. Chapman and Hall. 1995, pp. 313-329. Parums, D.V. The Distribution of Adhesion Molecules in Normal and Atherosclerotic Arteries and Aortas. In: Cardiovascular Disease: Cellular and Molecular Mechanisms, Prevention and Treatment. L. Gallo. Plenum Publishing Corporation, 1994. Parums, D.V. Chronic periaortitis. Oxford Textbook of Surgery. Eds. Morris, P.J. & Malt, R.A. Oxford University Press. 1994, pp. 329-331. Parums, D.V. The pathobiology of vasculitis. Oxford Textbook of Surgery. Eds. Morris, P.J. & Malt, R.A. Oxford University Press. 1994, pp. 325-328. Parums, D.V. The pathobiology of atherosclerosis. Oxford Textbook of Surgery. Eds. Morris, P.J. & Malt, R.A. Oxford University Press. 1994. pp. 319-324. Parums, D.V. Macrophages in cardiovascular disease. Chapter 9 In: The Natural Immune System - Volume II : The Macrophage. Ed. C.E. Lewis & J.O'D. McGee. Oxford University Press. 1992, pp.361-390. Parums, D.V. Aortic atherosclerosis: pathogenesis and local complications. Oxford Textbook of Pathology. Eds. J.O'D, McGee, P.G. Isaacson, N.A. Wright, Oxford University Press, 1992 Chapt. 12.3, pp. 812-22. Parums, D.V., Armstrong, R. Clinical pathology teaching in Oxford.Oxford Medical School Gazette. 1990;41:31-34. Mitchinson, M.J., Ball, R.Y., Carpenter, K.L.H., Parums, D.V. Macrophages and ceroid in atherosclerosis. In: Hyperlipidaemia and atherosclerosis, Suckling, K.E., Groot, P.H.E. (Eds. ), Academic Press, London, 1988 pp. 117-134.